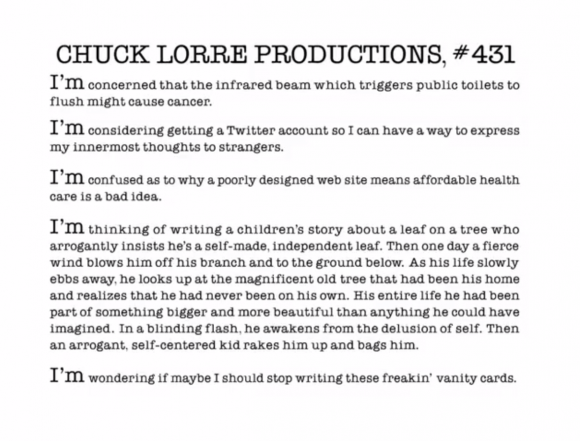 Watching a PVR’d episode of the Big Bang Theory and I decided to pause on Chuck Lorre’s vanity card at the end. In it he has a cute little story about a leaf and self realization. Check it out below!